Explore a cool collection of southern Grand Strand sites and attractions, or just relax after a long drive along the South Carolina coastline, with a stay at the nicely accommodating Best Western Pawley’s Island. Located along Ocean Highway / US Highway 17, which makes it easy to reach for travelers cruising through the area, this familiar hotel has all the amenities frequent guests expect as well as a prime location that’s close to everything this sunny coastal region has to offer. Guests will be just minutes away from an array of golf courses, restaurants, and shops, as well as great destinations like the Huntington Beach State Park and the breezy ocean shoreline. There’s also a nice selection of amenities on the hotel grounds, including a free daily breakfast, a sunny outdoor swimming pool, and a fitness room that’s open 24/7. Meeting facilities and a business center are also found on-site for added convenience, and the rooms are traditional but accommodating with amenities such as free wireless internet access, flat screen TVs, desks, microwaves, coffee makers, and mini-fridges. 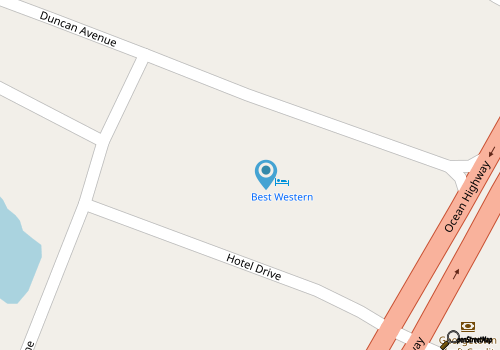 With all the accoutrements that frequent travelers rely on, the Best Western Pawley’s Island is a nice little stop for all varieties of Grand Strand visitors.